Travelling somewhere warm? 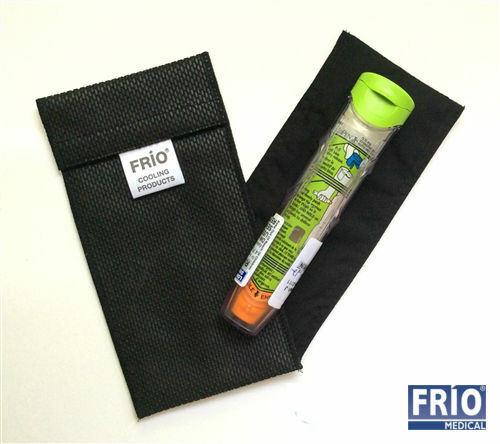 FRIO Coolers are the ideal insulated Epipen Case for warm temperatures. 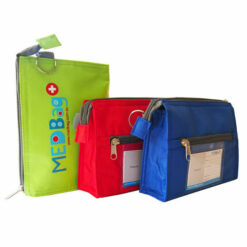 Adrenaline or Epinephrine should be kept in a cool, dark place at room temperature, between 18-26°C. FRIO Coolers will keep your adrenaline pens within safe temperatures of 18-26°C (64.4-78.8°F) for 45 hours minimum, even in a constant environmental temperature of 37.8°C (100°F)! 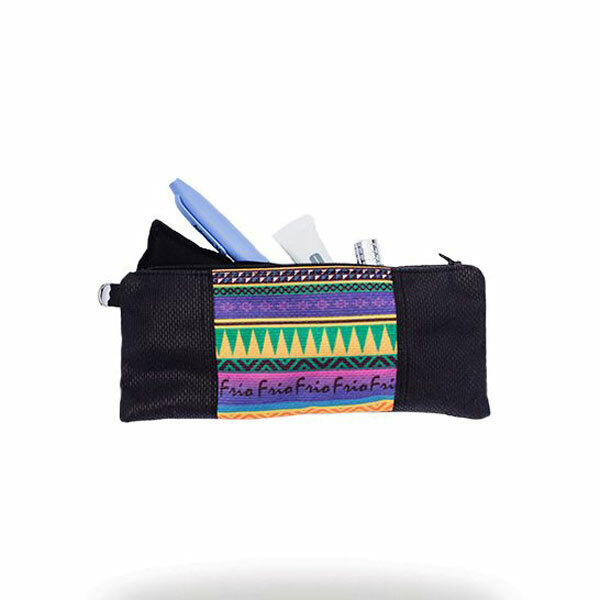 An insulated Epipen Case provides reassurance that your adrenaline is protected and effective in case of anaphylaxis. 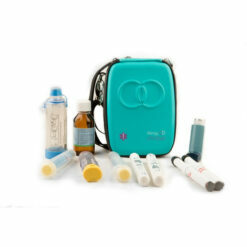 Frio coolers can be used for other temperature sensitive medicines too making them the perfect travel cooler for medication. All you have to do is submerge the Frio coolers in cold water for as little as 10 minutes, then dry with a paper towel. You’ll wonder what you ever did without one! Available in black, blue, purple, red, green & burgundy. 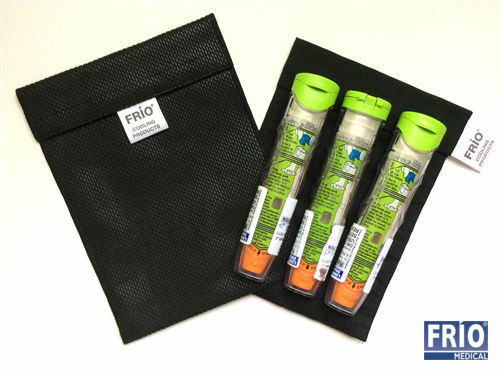 The Frio coolers Small Insulated EpiPen Case is suitable for carrying 1 EPIPEN, Anapen, Jext or Emerade* adrenaline autoinjector. The Frio coolers Grande insulated EpiPen Case is suitable for carrying 2 EPIPEN, Anapen, Jext or Emerade adrenaline autoinjectors (Can fit the Emerade pens in their outer hard cases). 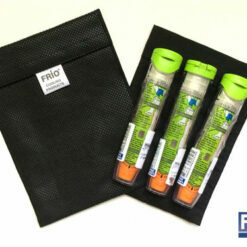 The Frio coolers Large insulated EpiPen Case can carry up to 3 EPIPEN, Anapen, Jext or Emerade* adrenaline pens. 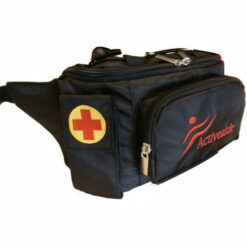 Reusable and durable insulated adrenaline case. Easy to use, just submerge in water for the specified time, dry and put your pens in. Keeps your adrenaline pens at safe temperature for up to 45 hours. Inner Frio wallet is made of poly cotton, the crystals are made of polymer. 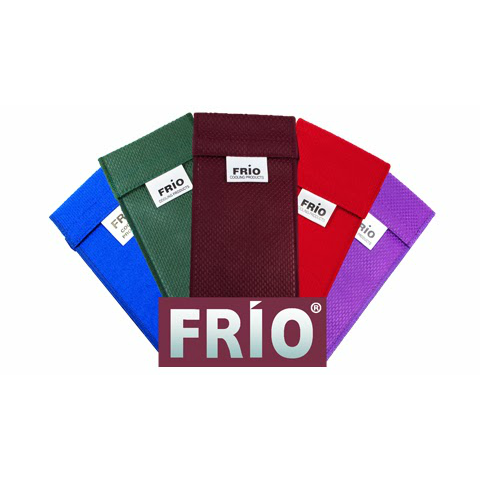 Outer Frio wallet is a non woven polyester. The Grande wallet has a zipped closure. 1 EPIPEN, Anapen, Jext or Emerade* adrenaline autoinjector. Size: 21.6 cm (H) x 10.9 cm (W). 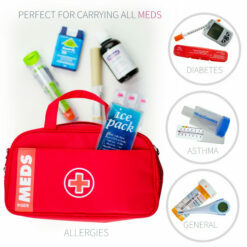 2 EPIPEN, Anapen, Jext or Emerade adrenaline autoinjectors (can fit the Emerade pens in their outer hard cases). 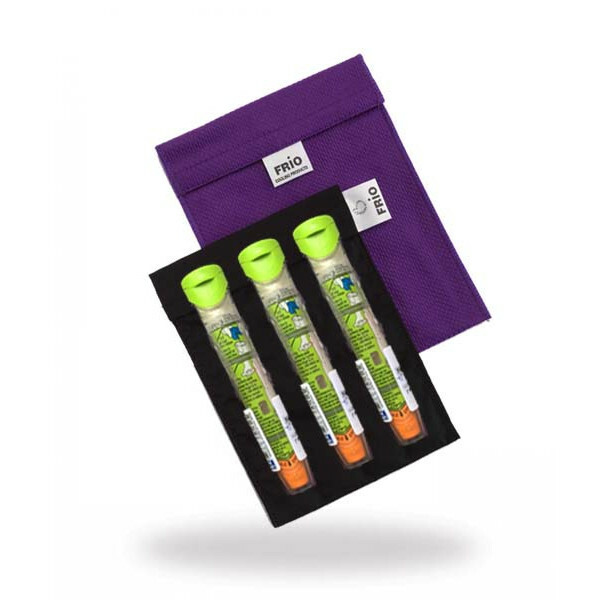 3 EPIPEN, Anapen, Jext or Emerade* adrenaline pens. Size: 22.9 cm (H) x 16.5 cm (W) 0.8 cm (D). 2 Standard sized insulin injector pens plus 6 x 3ml cartridges. N.B. 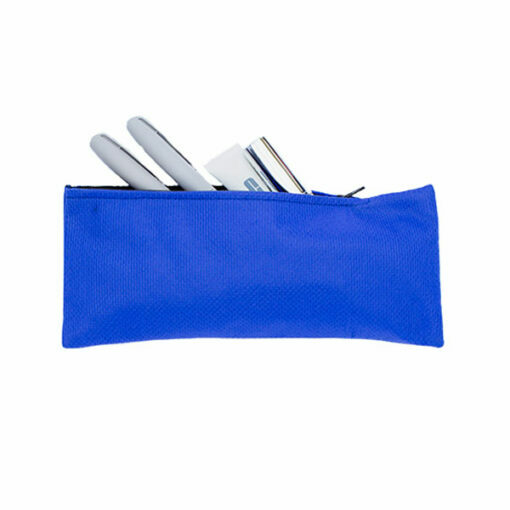 This product & packaging was originally designed for carrying insulin pens but is suitable for carrying all kinds of temperature sensitive medicines including adrenaline pens, insulin pens, Humira pens and Enbrel pens. Great pouch and kept my 2 epipens cool in the Costa Rica heat. One small point though, the part which swells can overswell if you leave for tools g and then you can’t get both pens in and shut the pouch! Spent two weeks in France with temperatures over 35 degrees. Frio cases kept Anapens perfect. Easy to use, would highly recommend them. Product worked great for my son’s EpiPens for a week at the beach. My only recommendation is read the set-up instructions as it takes a little lead time to get ready. It’s EASY to prep but you can’t just walk out the door the first time you’re ready to use. Get this product NOW and feel assured. Working well in 40C temperatures. Simple and effective, even in a v. hot parked car. I sent this with my son on camping trips in near 100 weather and it worked perfectly. Thank you for a product that reassures us that his epi-pen will be OK and usable should he need it in hot weather. Bought this for my holidays in France in June for my son’s epipens. I tried it out at home and it kept the pens cool for the recommended time. It will put my mind at ease going to the beach and day trips in France. Excellent product.